National Instruments has announced early access support for testing next-generation 802.11ac WLAN chipsets and devices. This announcement exemplifies how NI’s modular, software-defined wireless test platform continually expands to address the latest cellular and wireless connectivity standards including 802.11ac. NI’s 802.11ac WLAN test solution provides flexibility in testing 802.11ac devices in addition to testing 802.11a/b/g/n devices. It works with a wide range of signal bandwidths including 20, 40, 80 and 80+80 160 MHz for both Tx and Rx for up to 4x4 MIMO configurations. “By supporting the latest WLAN standard, 802.11ac, we are demonstrating the power of NI’s software-defined, modular test systems,” said Dr. James Truchard, president, CEO and cofounder of National Instruments. 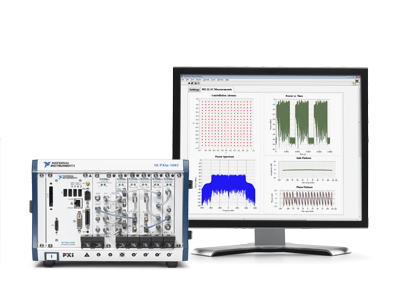 “Our modular test platform delivers faster test times and lower total cost of ownership, and by combining it with LabVIEW, we help engineers address the latest emerging wireless standards. NI is working with several early access partners, including silicon suppliers, OEMs and electronic manufacturing services (EMS) providers, to test the latest 802.11ac devices. NI will be exhibiting the new 802.11ac test solution at Mobile World Congress (hall 2.0, booth 2B93) in Barcelona, Spain, from Feb. 27 through March 3. To learn more about NI’s 802.11ac test solution, visit www.ni.com/80211ac. The IEEE 802.11ac WLAN standard promises more than 3X faster transfer speeds, more reliable coverage and up to 6X more power efficiency than equivalent 802.11n solutions. These benefits have increased the demand on today’s wireless test systems to provide better software flexibility, wider Tx and Rx bandwidth and higher performance signal processing.